In the spring of 2006, an 18-year-old South African with a bruised heart arrived in Lewdown, a village in west Devon. Having failed to make the final squad for the Under-19 World Cup at the start of the year, and with no clear pathway into a South African provincial team, a season playing for Lewdown Cricket Club in Devon's D division was as good an opening as Kyle Abbott was likely to see, and the quaint village with rolling green hills would serve as a balm to the frustrations back home. "I think when he first came to the UK, he was a bit disillusioned by the lack of opportunities in South Africa," recalls Charlie Hughes, Lewdown's chairman at the time. "He'd got into the provisional squad for the U-19 World Cup, but didn't make the final cut. I think the coaches at his then club, due to the quota system, were pro the black players. From memory that's what Kyle used to say, anyway. But he obviously turned it all around. He did well here, which got him going over there." Abbott took 55 wickets for the Lewdown first XI that season at an average of 7.47. It was not the highest level of cricket, and it would take almost three years before he would make his first-class debut for KwaZulu-Natal, but it was a start. "By performing so well for us he got signed up by Clevedon Cricket Club the next season, and that gave him more opportunities," says Hughes. "They had a game against Somerset as a pre-season or charity match, which helped him get spotted. "While he was with us, we got him into Somerset seconds, where he had a few games. So it was a little stepping stone. Before you knew it he was playing for KwaZulu-Natal, then the Dolphins, and the rest is history. Very proud of him, we are too. I'd like to think he learnt a lot in his three seasons in England, especially on swing bowling." The time in Lewdown was good not only for Abbott. Hughes says he raised the game of the cricketers around him, who were eager not to be outshone by the overseas player, and was an inspiration to the kids he coached at the club. Lewdown's two previous overseas players had been Australians, but since Abbott's stay they have made a habit of bringing in South Africans. "They seem to work quite well here," says Hughes. "They adapt quickly to the conditions. They're usually well behaved. Usually. But then you never know until they get here. And to be honest, one of the big things for us is the airfare. An Australian airfare is another £500 that the members would have to find." The Home Office tightened regulations this year, but Lewdown were still able to bring in the 18-year-old allrounder Dinecho Visser for the 2017 season after he was recommended by his countryman Johan Wessels, who was a big hit at the club over the past two years, with 1129 runs at an average of almost 90 in the Devon A Division in 2016. Now 25, Wessels is yet to find a place in a provincial team back home, despite his runs in England and for the University of Pretoria, which many would rate as stronger than the Northerns provincial side. Having a South African around has become a part of Lewdown's culture, but the presence of overseas players is not universally celebrated. "Not every club is overly keen," Hughes admits. "If we have a good one that semi-dominates a game, the clubs we play against sometimes complain. But they don't see the bigger picture all the time. Yes, sometimes the overseas player has scored a hundred when we've been 150 all out. However, every club has the opportunity to get an overseas, and we consider ourselves lucky to have chosen so well over the years, with the help of the agents." Abbott was one of the first South Africans placed by Steven Hirst, who founded the player agency CricX in 2004. Hirst was originally interested in helping his fellow New Zealanders find clubs in England over the southern hemisphere winter, but the business has expanded to the point where they made over 300 placements this year. CricX's website is basically an online shopping portal for cricketers, listing players from 21 countries. World Sports Xchange, another market leader, has a similarly impressive offering. Without putting a figure to it, Hirst admits there is a "high percentage" of South Africans on his books. "At club level you do get players coming over for the right sort of reasons - guys that are trying to make it and want to come over for their development, play in different conditions, and earn a bit of money along the way. Maybe lately the Kolpak signings don't necessarily put South African cricket in good stead, but I understand the reasons behind it." In January, when Abbott's and Rilee Rossouw's deals with Hampshire were revealed, the Kolpak debate exploded. The Proteas coach Russell Domingo and the CSA chief executive Haroon Lorgat gave semi-exasperated press conferences, with Lorgat lamenting: "We invest huge sums of money in every individual. Sadly there is no return for us in the years to come." The calmest figure in the room was Abbott's captain, Faf du Plessis, probably because he had lived through the other side of the debate. Du Plessis was getting no more than the odd game at Northerns when he looked to England for opportunities. Hirst placed him at Ramsbottom Cricket Club in Lancashire. From Ramsbottom, du Plessis moved to Liverpool Cricket Club, and then on to the Nottingham league. Greg Smith, a fellow Titans player who was in the Nottinghamshire side, organised a 2nd XI game for him, in which du Plessis scored a double-century. "In the next three games I got three hundreds in a row, and that's when Kolpak came up," du Plessis recalled after his Test debut in Australia in 2012. 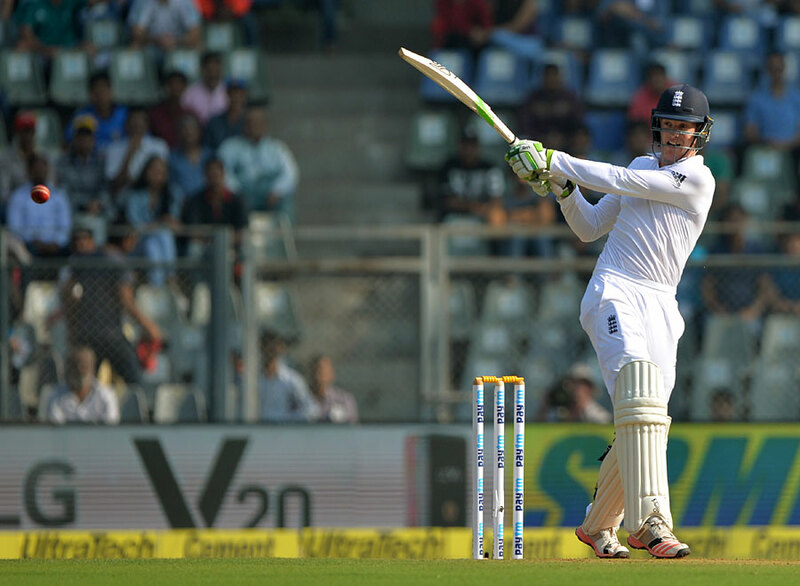 "Notts offered me a three-year contract but they wanted me to qualify for England. For every Kolpak player they paid penalties, and so I had a serious decision to make. I was 21 and I was playing a little bit here and there but not permanently for the Titans. Notts were offering eight or ten times more than I was earning at home." Du Plessis turned Nottinghamshire down, but soon after, he signed a Kolpak deal with Lancashire, sans an England qualification clause. By the time it expired, he had established himself sufficiently to push for a Proteas berth. It is worth wondering whether South Africa would have their current Test captain if it were not for the English experience. Players today in the same position as Abbott and du Plessis a decade ago have their paths increasingly blocked by legislation. "There has been a big change. When I first started, South Africans had access to a working visa, so a lot of them would come over, do it for a couple of years and then go home," says Hirst. "But now they have shut that loophole, so you've only got a Tier 5 visa, which is only for the professional and first-class players. Immigration rules have made it more difficult, and they are hitting league cricket pretty hard." The changes for the 2017 season have been especially restrictive - particularly around the classification of players as professional or amateur. According to the ECB's guidelines, a player is classed as professional "if the sportsperson has derived a living, currently is deriving a living, or intends to derive a living, at any level of the game, even if it is not their sole income". The "intends to" is a stumbling block for many. Players who have represented their country at junior level but never been paid, have previously played professionally though are not currently contracted to a team in their home country, and even those who have "only ever played club (recreational) cricket in their home country, and have no desire to play higher than that, but have been paid to play" all qualify as professionals. They must apply for a Tier 5 Visa, the requirements of which are often beyond the means of league clubs. "This is the frustrating thing," argues Hirst. "The Home Office have come out and said they want to pay English guys for those roles rather than employing foreign players, but what the Home Office doesn't realise is that having an overseas player brings a lot more benefits than just the performance on the field - such as helping coach the kids, being around the members, and generating interest that way. "I was speaking with a club the other day and they usually get a guy in from Western Province. They like it because they play a role in career development, and if those guys go on to play international cricket, they can say: 'We know this guy, we helped him in his development' etc. But the new immigration policy means they can't employ that player anymore. It really is affecting younger guys who are trying to come over, which I think is poor, but we've got to comply with the rules." 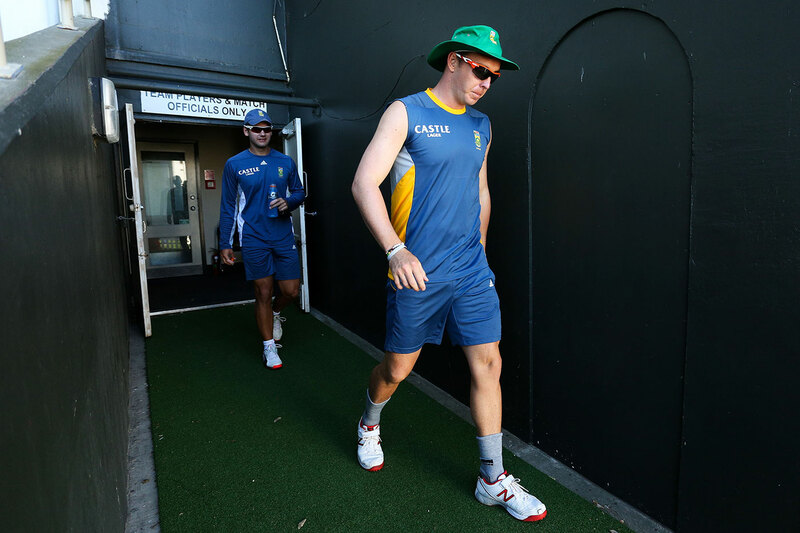 For young white players from South Africa, the new regulations represent another door closing. With the quotas currently in place, there are only 30 places available for white players in the playing XIs of the six franchises. The provincial (or semi-professional) base helps matters, with 13 provinces putting up to 65 white players on the park, but in a country with so much talent, that is not enough. Meanwhile, an average of 48 South Africans per season played county cricket over the past decade, with a peak of 62 players in 2008 (see table). By the end of last season, the seven white players from South Africa's U-19 World Cup-winning squad of 2014 had accumulated only 58 first-class caps between them - the vast majority of those in semi-professional cricket. Without Aiden Markram, a batsman who broke into the Titans side this past season, the number falls to 30. CSA's transformation policy is bearing some fruit, but it is also creating a skewed landscape with a pack of frustrated white players battling to get into provincial sides, and a scrum of high-performing white players - batsmen especially - at the top of provincial cricket unable to earn franchise contracts. The statistics confirm this, showing that despite their numerical disadvantage, white players occupied seven of the top ten run-scoring slots in the Sunfoil 3-Day Cup last season. The bowling list was more representative, with six non-white players among the top ten wicket-takers. England, and more recently New Zealand, have provided useful outlets for some of that frustrated talent, keeping it in the game a little longer. The alternative is retirement, because while they may lack cricket opportunities, most white players are fortunate enough to have financial options that make the poor pay in semi-professional cricket unattractive. The former fast bowler Dale Deeb is a prime example. After a 2014-15 season in which he was named Sunfoil 3-Day Cup Player of the Season, Deeb hung up his boots. "I was 25 but couldn't really support myself on the contract I was being offered," he told the South African Cricketers' Association website. "Also, I got to a point where I'd done everything I could for two seasons and was playing some of my best cricket but wasn't really getting any chances with the Lions. Ultimately, I also had something to fall back on." Deeb now works with a company that imports ceilings and partitions for offices and homes. The loss of that sort of talent is less tangible and immediate than what South Africa experienced last summer, when seven new players went the Kolpak route, two others used family passports to register in England as local players and Keaton Jennings made a century on Test debut for England. Despite having captained South Africa's U-19 side, Jennings decided early on that he had a better chance of cracking county cricket than waiting for his chance at Lions. When Durham put him in a similar position to the one that du Plessis faced almost a decade earlier, Jennings pledged his future to England. The question for South Africa is: how many more players could be lost? 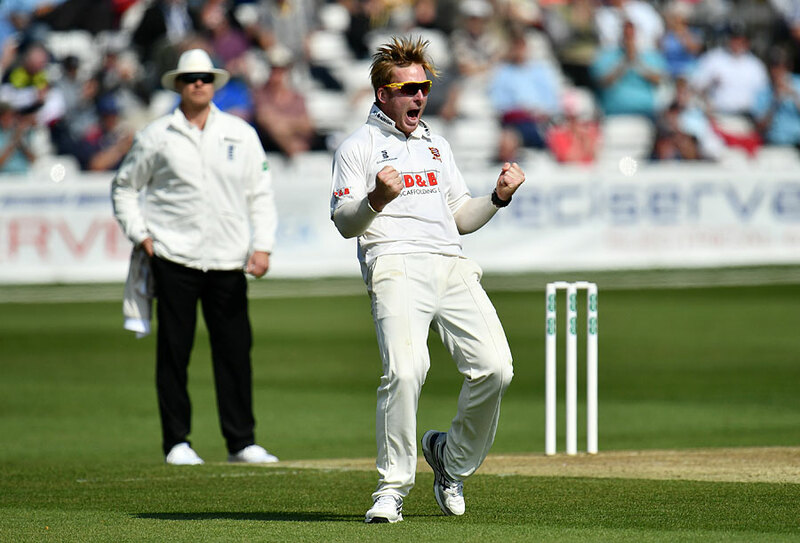 Playing county cricket remains an attractive option - and not just because of the money. "Mine wasn't a purely financial decision," says Colin Ingram, who played 40 internationals for South Africa and, at 29, joined Glamorgan on a Kolpak deal ahead of the 2015 season. "I just felt that as a player at my age, with the amount of runs I had scored over the last couple of years, it would have been an absolute shame not to play county cricket and experience that. Secondly, sitting at home for six months of the year isn't really something that I wanted to do. I want to play as much cricket as possible." Stiaan van Zyl, who played 12 Tests as a batsman, had similar reasons, according to someone who aided his decision-making. Simon Harmer took the Kolpak route because he believed it would improve his game and give him a better crack at a Proteas place further down the line. One name rarely mentioned in the debate is Colin Ackermann, the 26-year-old opening batsman. Having topped the Sunfoil Series charts last season, he would have been in the reckoning for South Africa's Test squad in England had he not signed a two-year deal with Leicestershire. "From what he said to me, he feels it's a great opportunity to go and get more cricket," says Ingram, who shares a dressing room with Ackermann at Warriors. "He still wants to play in South Africa as much as possible and has talked about playing for the country as well, so he maybe sees it differently to some of the older guys who have signed recently. "I think South Africans in general, and even CSA, have used that over the years as a big plus. They have grown a lot of players. A lot of guys have gone over there, played a heap of county cricket, and then come back and played for the national team. Our Test captain did that. Jacques Rudolph, Paul Harris, Robin Peterson. So CSA have benefited in the past, but it's a more sensitive subject now with the number of guys and top-level guys that have signed recently." In an era of increasingly nationalistic politics, the idea of shifting allegiances does not sit well with many. Yet this symbiotic relationship between South Africa and England is governed by market forces more than anything else. However the politicians might shift the boundaries in years to come, the migration will continue. Where's the blueprint for cricket's future?